OSCAR L. ''SONNY'' OBENAUF STRUTHERS – Oscar L. “Sonny” Obenauf, 84, died Nov. 19, 2016, peacefully at his home, surrounded by his family. He was born May 14, 1932, a son of Paul and Catherine Gibson Obenauf. He was raised and resided in Struthers and was a Christian. “Obie” retired from Ohio Edison after 38 years of service and was a member of the Poland Masonic Lodge. 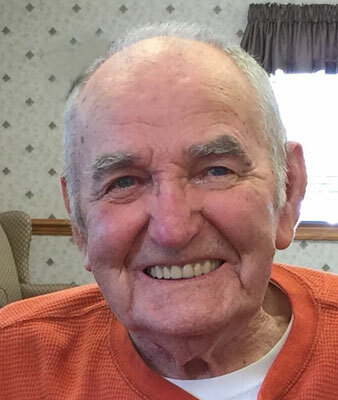 He enjoyed his Harley, his boat and fishing in Canada and Lake Erie and was a fan of the Cleveland Indians and the OLD Browns, but most of all he likes watching his grandkids play various sports for the Struthers Wildcats. His greatest love was for his best friend and wife, Margie and whole family and always enjoyed the picnics ,parties, holidays, and Sunday gatherings. Oscar leaves to cherish his memories, his best friend and wife of 60 years, Margie (Mirich); children Randy (Kim) of Poland, Kim Nelson of Lake Mary, Fla., Wendy, his loving caregiver, and Terri Walton of Struthers; grandchildren Randy (Kelly), Chris (Michelle), Emily (Chris), Nathan, Molly, Margie, Max, Brian, Dennis, Craig, Jay (Heather), and TJ (Shelli); seven great-grandchildren; one sister, Sharon Parker of Chester, Va.; and one brother, Claude(LaVerne) Obenauf of Austintown. Besides his parents, he was preceded in death by one sister, Pauline Miller. Funeral services will be held Tuesday at 10 a.m. at the Davidson-Becker Funeral Home, 11 Spring St. Friends and family may call Monday from 6 to 8 p.m. at the funeral home. Although flowers are beautiful, family requests donations to be made in Oscar’s name to Crossroads Church, 554 S. Meridian Road, Youngstown, OH 44509.